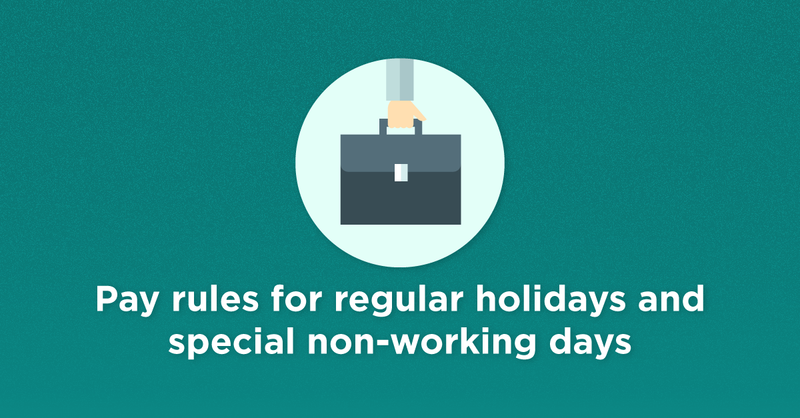 MANILA, Philippines - The Department of Labor and Employment (DOLE) announced the pay rules from November 18 to 19, 2015, which have been declared as special non-working days in the National Capital Region (NCR) due to Asia-Pacific Economic Cooperation meetings. If the employee worked in excess of 8 hours (overtime work) during a special day that also falls on his or her rest day, he or she shall be paid an additional 30 percent of his or her hourly rate on said day (hourly rate of the basic daily wage x 150 percent x 130 percent x number of hours worked). When the employee has accrued leave credits, he/she may be allowed to utilize such leave so that he/she will have compensation on said days. No additional pay is given to the employee, but only their salary on said day. “In view of the Proclamation, I enjoin all private sector employers in Metro Manila to observe the proper pay rules for the benefit of their workers,” said Baldoz.